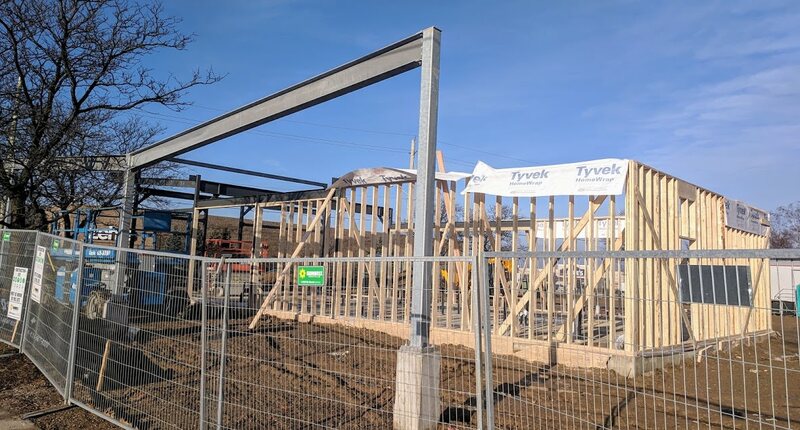 (12-08-2018, 08:06 PM)rangersfan Wrote: Seen signs out front advertising that a Starbucks is moving into this building on Sportsworld Dr in Kitchener. That's the Starbucks that's currently at (the former) Chapters, about 500m away. Oh, did the EB Games shut down? is the Starbucks still operating in the former Chapters building? It is, and this is also true (for now) at the former Waterloo Chapters at King and Weber. No. rangersfan is correct. A Starbucks is opening where EB games was. 1. Is the SB at the former Kitchener Chapters moving into the EB building? 2. There is no more Chapters at King and Weber in Waterloo?! (12-14-2018, 10:26 AM)Momo26 Wrote: 1. Is the SB at the former Kitchener Chapters moving into the EB building? 2. There is no more Chapters at King and Weber in Waterloo?! 2. nope. there's a sign saying "we've moved" I think to a small location in Conestoga mall? They shutdown the Chapters at King & Weber and I understand there is now an Indigo in the former Zellers/Target space at Conestoga Mall. They have reopened under the Indigo name and it is a large location in the renovated Target space. Ambrosia has been open for at least a week at Frederick and Filbert. The sign still says Public Market and their webpage has not been updated. So, has Ambosia taken space within Public Market or has it replaced Public Market? (12-15-2018, 12:46 PM)panamaniac Wrote: So, has Ambosia taken space within Public Market or has it replaced Public Market? Ambrosia Corner Bakery has replaced Public Market, which closed a little while ago. Curiously, half the structure is a structural steel frame, the other half is just timber.